Two things you really want to do your best to avoid while fly fishing, Always and Never. Let me elaborate. I am the most black and white person you would probably ever meet. During a job performance evaluation years and years ago in another line of work, I was told, I’m too black and white. Sure, I completely agree with that. So, it seems very strange to me that my one true love/fly fishing, is anything but black and white. 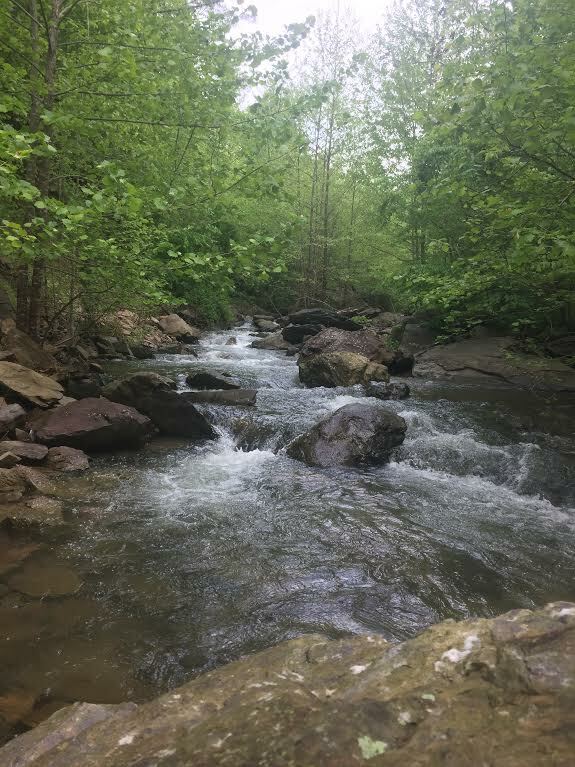 In my teenage years while living in Gatlinburg Tn, I walked into one of the fishing shops to get some advice and find out how much it would be to hire a guide. The guy behind the counter said, he was one of the guides. At that time of my life I had never met a fishing guide before. I was happy and excited that I had the opportunity to ask a professional fishing guide questions. Well, I was until I asked my first question. I don’t even remember what question I asked. All I remember is he went off on some tangent about walking away from/leaving his clients on the water alone because they took a cast down stream. He just kept going off about never, never cast down stream. True story. Needless to say, I didn’t hire him and immediately went up into the Smokies and caught fish skating flies up stream. I also take “don’t do that” as a challenge not a direction or warning. Sorry, mom. Okay, on to my point. 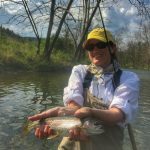 Just about everything in the wonderful world of fly fishing is subjective, including this post and just about everything you read or watch about fly fishing. I’ve heard over the past couple decades of guiding thousands of anglers say, “I was told, I should never” and “I was told, I should always”. In listening to their stories about being told that, it seems it’s often pertaining to casting, line management and fly presentation. Lets start with casting. Can anyone tell me how many books, videos, articles and classes there are out there about casting? Thousands and thousands is my guess. My point here is, there are thousands of resources to show/teach anglers how to load a fly rod using different techniques. On top of that there are countless resources explaining the same thing only in a different way. Confused yet? I am. What was I talking about? Oh, right casting. Here is my summery of every book, video and everything else that has to do with casting. Make the fly rod, switch rod, spey rod, whatever rod, bend/load and it will cast, pull/push/unfold the line for you. There are countless ways to accomplish that. Here’s the truth, there is no right or wrong way to load the rod. There are ways that are more effective and efficient than others but, let’s be honest. If you attempt to cast and your fly lands in the general area you wanted it to land, is that a good or bad cast? All I’m saying is, you will never find two people that always cast the same way. Have fun, stick with it, and enjoy your time on the water. Are you still with me? Okay. On to line management. This one is much easier said then done. You want to do whatever you can to avoid getting your line tangled on anything including yourself. That’s about it. Good luck. Oh, if you figure out a way to always accomplish that please, let me know. Here we go. Fly presentation. I would never discourage an angler from fishing a certain fly in a certain manner if that’s what they enjoy doing. I may encourage someone to try changing that dry fly to something different if there are no bugs flying around and nothing rising. I fish with plenty of dry or die, trout do 90% of their feeding subsurface nymphers, and go big or go home meat/streamer chuckers. I’m a mix of all the above. Part of my enjoyment of fly fishing is actually catching fish on a regular basis. I’m as happy as a clam throwing any fly that I can convince the fish to touch. For those of you still reading this and not sending hate and death threat emails. Presentation just like casting, there is no right or wrong way. There are some presentations that will be more effective and efficient than others. Here’s a few I use. If I see a trout that looks like it wants to eat a dead drifted dry, you better believe I’ll be the first one to softly turn over that bug so it doesn’t even make a ripple when it hits the water and float it right over his head. For this example I’ll be using a caddis in the spring time. Putting that out there to set the scene. If he doesn’t eat it, here is where it starts to get scary. A glimpse into the mind of Carson. Oh, what’s up fish? You’re too good to eat that bug? You don’t like leftovers? How about I smack it down on your head with a splash? Let’s think about that for a minute. A dead drifted fly that lands on the water without a ripple, for all that fish knows it’s been floating for two days. Maybe something is wrong with that bug. I mean besides being dead. If they refuse a dead drift, I’m going to make my next cast splash down just a few inches in front him. Make it look like a fresh bug that just hit the water. If he doesn’t eat that, then I’m going to put a quartering cast on him and twitch the fly a couple times when it gets in his range. Hopefully that presentation will look like a bug that just hit the water and want’s to get out of there before it gets eaten. Nope, he didn’t eat it. One more try. If I can get myself in a position upstream of the fish without spooking it, I’m going to skate my caddis right over his head. Trying to make my presentation look like an egg laying bug. Oh, yum. Not only a fresh bug but, eggs too. Yes please. 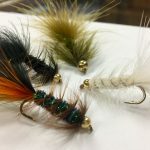 I have had great success with all four of those dry fly presentations and I’m sure there are plenty of others out there that I have not tried yet. If you have a presentation you really like that I didn’t mention please, feel free to share it. I’d love to hear it. I am going to leave subsurface presentations up to your creative imagination. Again, this is my humble subjective view. Without creativity we would not have fly fishing. 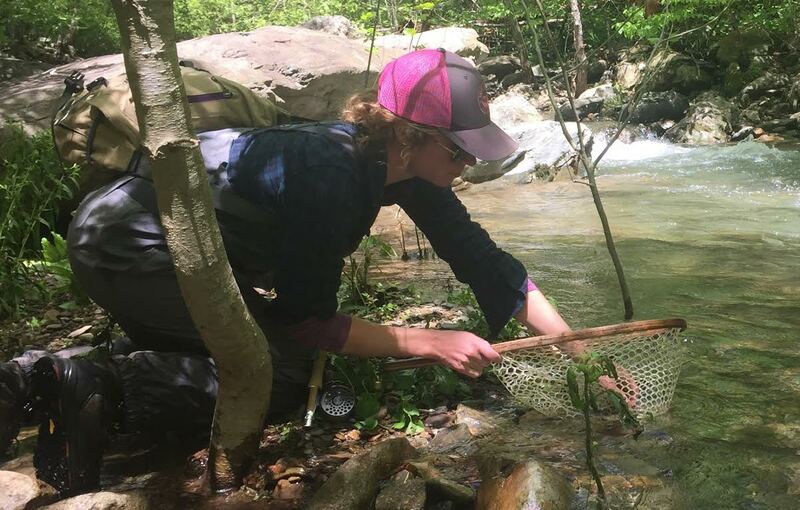 Without creativity in fly fishing we would all be tenkara fishing. Bahaha. Just kidding. That was just setup way to easy, I had to. Anyways, hopefully you will keep in mind there is no right and wrong, there is no always and never in fly fishing. Get out there be creative, have fun and enjoy your time on the water. Fly selection has always been one of the most frustrating aspects of fly fishing for beginning and casual anglers. We all know the old mantra of match the hatch but sometimes that approach doesn t meet muster. So when do you switch it up? At what point do you throw in the towel on the pattern you ve got on and try something new?